Its still there, just they used the international circuit which is another few hundred yards longer, past the tighter hairpin. I watched the first race then switch to WTCC then watched Chris Froome win the first stage of the Dauphine then watched Nadal win the French Open so didnt see the other races. Busy day for all types of sports. Infact this whole month and the next is busy. I have recorded it so plan to watch it when I get home, it might have been the shorter circuit they where racing on this year as like Donnington and Brands Hatch have a long and a short version! But I have been watching Motors TV and saw the Super V8's 6 hour Bathurst race, that was sublime. It has lol, Turkington was the champion in the end and well deserved, best racer all season! That happened to Turkington last time he won the Championship, he was left without a drive even though he had just sealed the title! 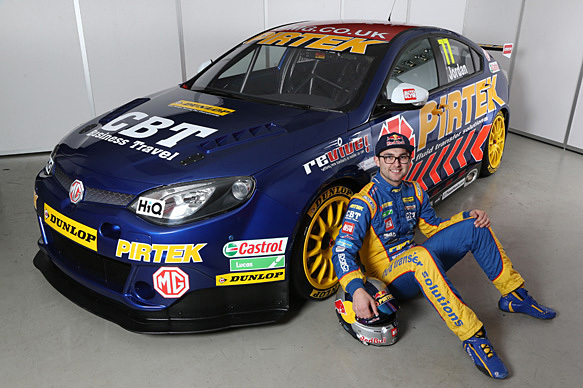 I think Plato may move on from the BTCC and head into GT Racing, would be interesting to see how well he does! Maybe he will even join Shedden and Neil at Honda, what a line up that would be!! [QUOTE="Duffman, post: 6407748]That happened to Turkington last time he won the Championship, he was left without a drive even though he had just sealed the title! Andrew Jordan has joined 888 racing (MG) and has replaced Plato i believe? Andy Priaulx has joined BMW, new look for the BMW too. Running a white base with orange and yellow iirc? I wonder where Plato will go then. Coming second in the championship surely means that he'll get another drive. Great for Jordan to move on I think, wonder what Plato will decide to do now! Brilliant that Priaux is back in it next year, looks like it's going to be another great season! BTCC starts this weekend, who's else is excited for this season? Looking forward to seeing how Plato handles the Passat, plus Nico Hamilton will be making a few appearances throughout the season in one of Rob Austin's Audi's! Anybody else watch at the weekend? I recorded it because I was out all day but the first race was pretty good, as usual action up and down the field but not too many bumps which was unusual for the first race of the season haha! I watched it. Good first race. I'm hopeing Turkington can defend his tittle or Matt Neal wins the Championship. The second race more than made up for the timid first, contact up and down the field and the last corner clash between Shedden and Priaulx was epic, Shedden just keeping his nose in front! Would like one of the Honda drivers to win it, either Shedden or Neal I don't mind really but I suppose Plato really is due another championship just for how long he has been in it! The whole saga with Rob Austin picking himself for pole in the third race was quite funny, no more driver picks now though so he kind of spoiled it for everyone else! I like Honda as a team but as drivers I personally prefer Neal. Shedden is ok. Plato is always complaining about something, that's why I don't like him but I'm not going to deny he can drive when he's on it. Rob picking himself did make me smile a bit lol. Plato does my head in when he complains, it always seems like it's everyone else's fault apart from him but like you say when he's on it no one can touch him! [QUOTE="Duffman, post: 6438529]Plato does my head in when he complains, it always seems like it's everyone else's fault apart from him but like you say when he's on it no one can touch him! Yes Sunday is going to be a good day. few drinkies f1, btcc and Moto go is perfect for me. Do you watch the support races in between? Yes. I also like the Clio's and Porsches. I've been to Thruxton a few times and these never disappoint there. Usually a few crashes with no one getting hurt. Been to Donnington a few times and Silverstone but not for a little while, need to take a trip back there soon! I want to go back to Silverstone too. Never been to Donnington but always wanted to go. I only been to Thruxton and Brands Hatch. I love BH. My Uncle works there so sometimes I get a discount on tickets. I love the bikes round there too. Thruxton is about 40 mins drive away for me so it's a great day out. I need to go to Brands Hatch soon I think, maybe even for the final BTCC races! That's not too bad then, about the same distance as Silverstone is to me give or take! I jealous that you live so close. I much prefer Silverstone as a track. Mind you during f1, I'd probably never leave. Lol. I'm seeing if I can get some tickets this year for BH. Keeping my fingers crossed. I have been to Silverstone during the F1 practice 3 years ago and it was amazing, record turn out for a practice session too! Any particular race you want to get tickets for? The last time I went to Silverstone was for F1. The year Kimi won the Championship. I want to go back there for F1 or moto gp. I'd imagine the bikes are amazing round there.